This grand home is a classic Victorian located in Liberty Heights. 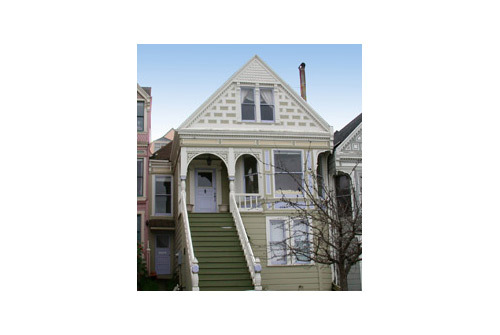 The home has many traditional elements of a San Francisco Victorian such as period moldings and built-in cabinetry. Features include a double parlor, formal dining room, an eat-in kitchen, three bedrooms, and two bathrooms. From the upstairs bedroom there are views of downtown. There are softwood floors in the double parlor and dining room. Behind the home, there is south facing garden. The basement has a bonus room and plenty of storage. This home is located on a historic block on Liberty Street and is just a short walk to the shops and restaurants of Castro Street. Neither sellers nor agent warrant bedrooms and bathroom on top floor, nor office/bedroom space in basement. Property is being sold “As-Is”..